In an ever-changing landscape, TUFFSTUFF delivers the cutting edge. Excavator rubber tracks for sale are built to last on the field. Boasting years of experience in rubber track development, when it comes to our products, it is an eagle-eyed focus on quality and reliability. Our TUFFTRAC products are designed to combat the harshest conditions and improve the efficiency of earthmoving work. 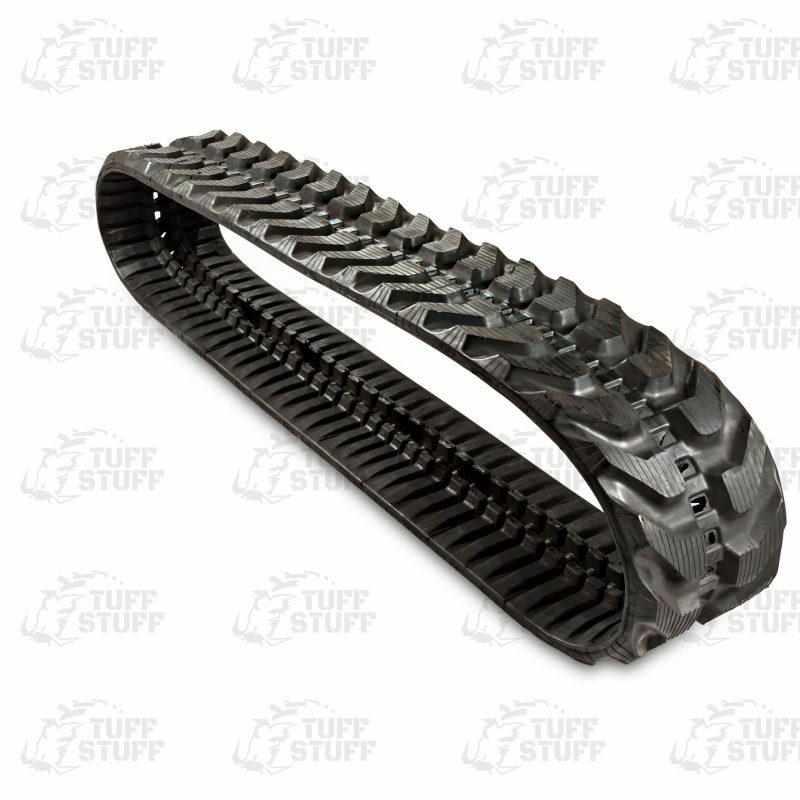 Rubber tracks for sale at TUFFSTUFF recognise the importance of productivity. This is why our highly experienced expert technical team are committed to supplying the correct rubber track fitting, to ensure maximum wear-life and minimal down-time. The products we have are all available for shipping within Australia. Our excavator rubber tracks for sale will give clients peace of mind. Built to stand the challenging working conditions heavy equipment are subjected to, each square centimetre of our rubber tracks is reinforced to plough through the toughest terrain. The excavator tracks are compatible with major excavator brands such as Volvo, Hitachi, CAT, Hyundai, Komatsu, and Kubota rubber tracks. Our TUFFTRAC products feature closely spaced short pitch core bars. They contain 75% natural rubber that is more flexible than synthetic alternatives. They are available in offset vibration reducing patterns that reduce the wear and tear of your machine. If you have any questions about our TUFFTRAC products, call our sales and technical hotline. If you want to purchase our excavator rubber tracks, we gladly ship our products to Sydney, Adelaide, Melbourne, Hallam and Arndell Park. Get a quick quote online (below) or contact us today for premium, reliable and quality rubber track products. 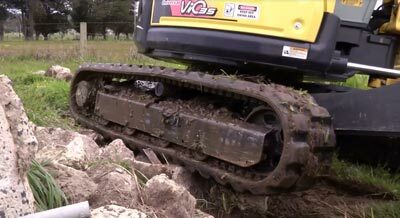 The powerful traction of Tufftrac excavator rubber tracks drive this excavator over rough terrain. Earthmoving, demolition, construction and land scaping applications are all handled with ease.